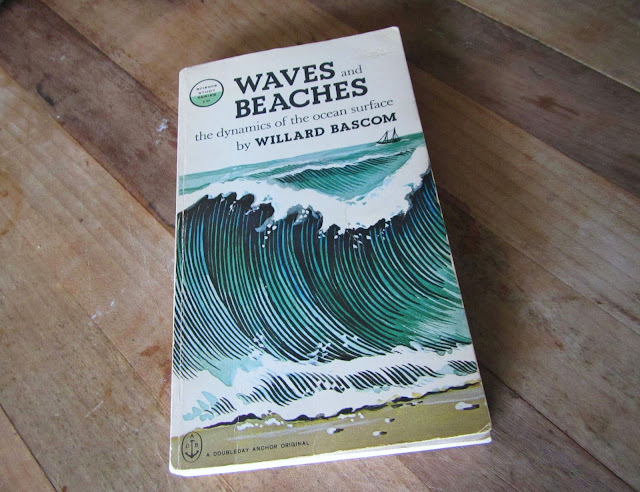 I recently received a copy of William Bascom's Waves and Beaches: The Dynamics of the Ocean Surface, a book that "examines the complex interactions between major coastal features and waves, tides, currents, and surf including man's attempts to control shoreline damage." It was a gift from my friend Shawn, who expects me to not only read, but review this bewildering book. Which I suspect will be a lot of work. But I'm up for it. It is the 'Surfer's Bible' after all ;) So stay tuned for some serious surf science!